Tite-FX represents the next generation of non-invasive lipolysis. Combining radiofrequency energy with vacuum, Tite-FX can effectively remove excess fat and shape and contour the body for a slimmer, more toned appearance. This procedure effectively reduces circumferential dimensions around the body and can even improve cellulite. While this is an excellent treatment for those seeking a less invasive alternative to traditional liposuction it can also be combined with liposuction for superior results. 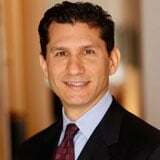 Dr. Philip Miller is an expert plastic surgeon located in New York City. He performs the Tite-FX procedure at his JCAHO-accredited office-based facility. During treatment, the Tite-FX handpiece delivers targeted radiofrequency energy to the treatment area. This allows for precise, uniform treatment of problem areas but with built-in skin temperature feedback and cut-off controls that ensure maximum safety. Patients experience minimal discomfort, no downtime, and long-lasting results. Tite-FX has been approved for use in Canada, Europe, Australia and parts of Asia and is currently pending FDA-approval. To learn more about Tite-FX or to schedule a consultation with Dr. Miller, contact us today. Visit Our GalleryNext, read Body-Tite. Dr. Miller and Kaylyn Plum, PA-C provide patients with the customized care and treatment for smooth, supple skin that brightens the eyes and revitalizes the face. With our NatraFace™ approach, we utilize a combination of effective aesthetic techniques tailored to suit each patient’s needs. Dr. Miller and his staff of aesthetic specialists offer the NatraNose™ process, which is a comprehensive range of minimally-invasive and advanced techniques to achieve natural-looking rhinoplasty results, improve nasal function, and meet the patient’s aesthetic goals. 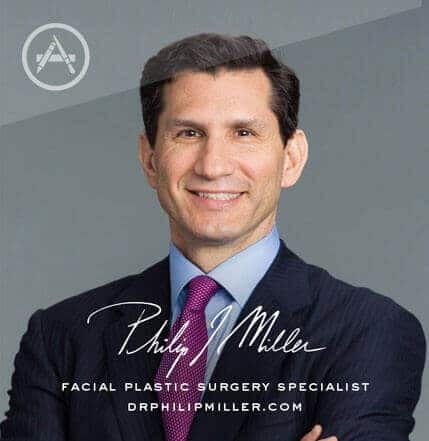 Widely acclaimed for our broad range of flawless skincare solutions, Philip J. Miller, MD, FACS and his team of aesthetic specialists offer customized skincare treatment plans to achieve healthy, natural-looking results. As part of our NatraLook™ process, the following procedures may be performed individually or in combination with more advanced surgical treatments for optimal rejuvenation. 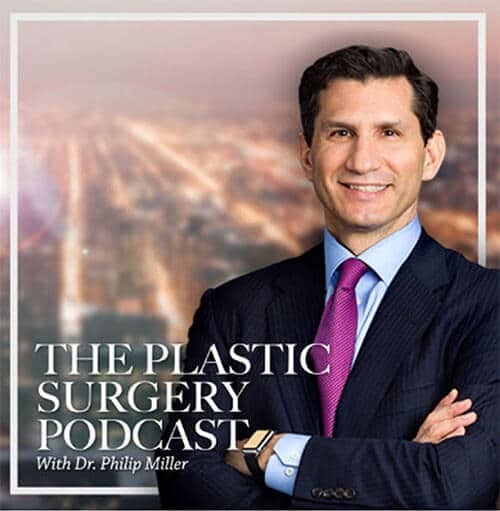 Tune into The Plastic Surgery Podcast, hosted by facial plastic surgeon Dr. Philip Miller. Dr. Miller is here to answer your questions, de-mystify plastic surgery, and help you feel more knowledgeable and empowered about any procedure performed at our center. If you're thinking about getting a lift, nip, or tuck, this app is for you. It's the most comprehensive pocket encyclopedia of plastic surgery terms, before and after photos, and visualization tools to help you really know what to expect from a procedure, including seeing potential results on your own photo. This app is only available on the App Store for iOS devices.